Meat is a staple in many people’s diets. Eating ground beef, ham, steak, and the white and dark meats of birds such as turkey and chicken is common and often the focal point for many US holidays. What you won’t find on the tables of many average American families are the organs of these animals, even though they’re entirely edible. Eating animal organs, often referred to as offal-style dishes, is a routine practice elsewhere. Many countries consider different organs to be delicacies, and some are easily located on the menus of restaurants and street vendors. Although it might seem outrageous to take a bite of a bull’s testicle or swallow a portion of a chicken’s digestive tract, eating these organs is normal for many individuals. In fact, some of these foods are said to be a delight to eat if you dare to give them a try. 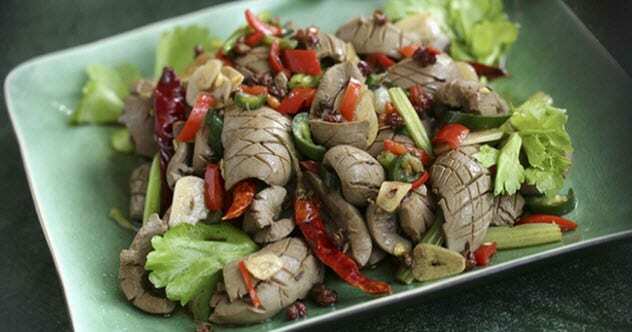 Around the world, ox tongue is a delicacy that can be found anywhere from restaurants to street vendors. In fact, it was a popular inclusion in American cookbooks in the 1940s–1950s. However, it faded from cookbooks as different parts of meats drew more interest. Ox tongue, which can be served a variety of ways, is said to be similar in texture to other parts of red meat, such as flank steak and filet. 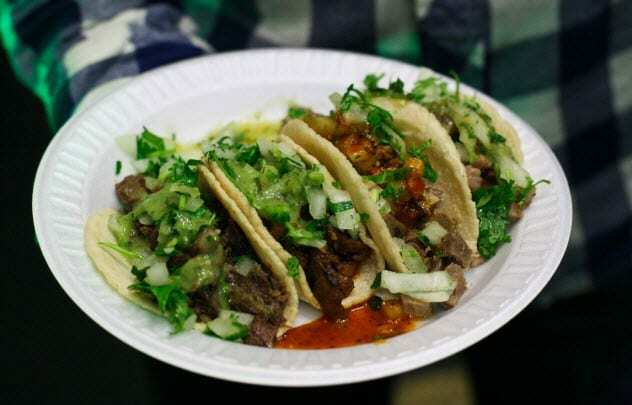 The tongue is used in popular dishes around the world, such as Mexican tacos de lengua. The tongue is chopped and braised with garlic, herbs, and some spices. Accompanied by typical taco toppings such as salsa and avocado, it’s wrapped in a tortilla. Beef, pork, elk, and lamb tongues are often used in this dish. In places such as Japan, ox tongue is quite popular. This is especially true in the city of Sendai where ox tongue is considered to be a specialty. It can be cooked in a variety of ways, added to different dishes, or grilled with a simple side of rice. It’s not only found in restaurants but can be bought in Sendai train stations while one waits. Although ox tongue may not be popular in the United States, it can be found in specific restaurants and even on cruise ships. As a specialty item, the Carnival Cruise Line offers a braised ox tongue as an appetizer for those willing to give it a try. Gizzards are not an entirely unpopular dish. However, finding them served on a regular restaurant’s menu is unlikely even though they are an edible part of the chicken. 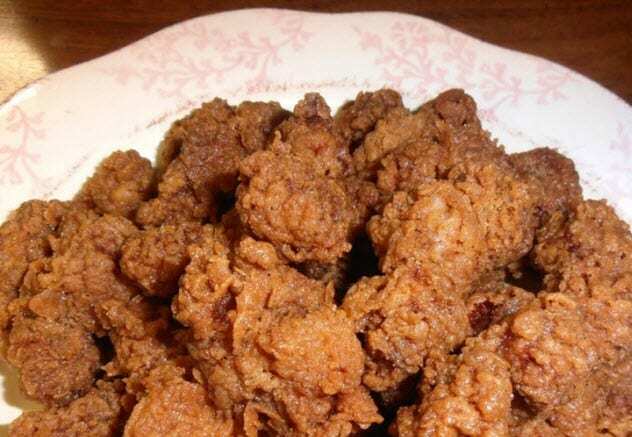 Applebee’s may not serve chicken gizzards, but you can find them as a delicacy in other countries and even in some restaurants in the United States. Found inside a bird’s digestive tract, a gizzard is an organ that helps to grind up food so that the bird can digest it. In the United States, gizzards can be found in the South, where they’re commonly served like fried chicken. In countries like Nigeria, gizzard is used in a pepper soup. Meanwhile, Portuguese restaurants serve moelas, a dish in which gizzards are cooked in a broth including garlic, onions, and red wine. The gizzards are often served as an appetizer or inside a stew as a main course. In places like Thailand, gizzards are often included in various dishes like khao man gai, which is gizzard with other pieces of meat, such as chicken liver, served over rice. 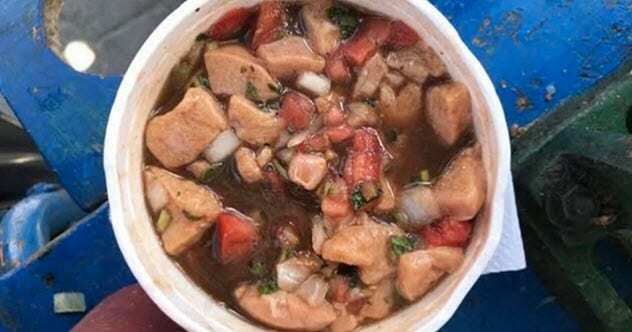 Gizzard is an easily cooked piece of the chicken and is versatile, making it a favorite for street vendors. Similar practices can be found in Hong Kong, Taiwan, and the Philippines, where chicken gizzards can be added to any dish or simply served with rice. Since the 1940s, beef heart has been considered a very rich and healthy portion of beef. Recommended because it’s high in B vitamins and iron, this food can provide health benefits for one’s own heart. However, though it may be good for you, many are put off by the thought of eating an animal’s heart. In the US, beef heart was included in ground beef for a short while. Although the USDA still allows it, the practice has faded. Still, some restaurants use the heart by making it into a stew or grilling it, often producing the same look and texture as flank steak. 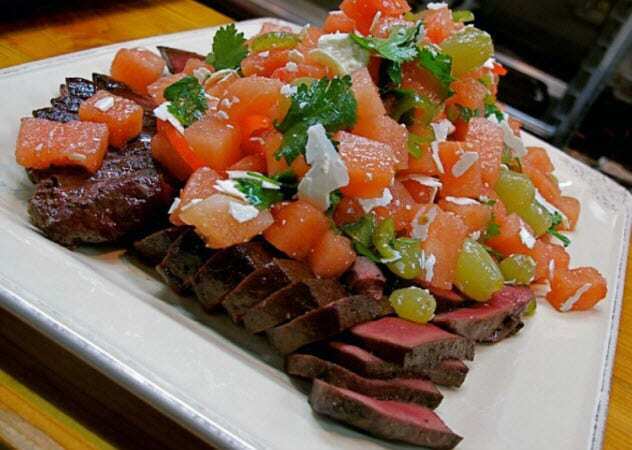 In Chicago, beef heart can be found in a signature dish by incorporating the heart into a watermelon salad. Meanwhile, Georgia has seen barbecued beef heart become an increasingly popular dish. Places such as Peru serve anticuchos, which is beef heart that is marinated, skewered, and grilled. The dish is the most popular way to eat beef and is sold by restaurants and street vendors. Brazil, France, Denmark, and Japan often incorporate beef hearts in their dishes or make it the star of the show. In London, beef heart is not unheard-of, especially in one Michelin-starred restaurant where it is popular and cheaply bought. The hearts, which are gamy in taste, can be sauteed, made into a tartare, or even turned into burgers. During the Great Depression, eating offal dishes was common due to the high price of meat. Families used every bit of the animal that they could. Today, meat has become more widely accessible and much cheaper, yet there are still parts of the world which treasure offal dishes, including lamb kidneys. In Hong Kong, lamb kidneys can be found inside a stir-fry. The kidneys are cleaned and cut into small pieces before being added to the stir-fry to make a quick and delicious meal. Due to the delicate taste of lamb kidneys, they are often served deviled or marinated to extract the most flavor. They are paired only with vegetables to ensure that the flavor of the lamb kidneys is the star of the dish. In Persia, lamb kidney was the main ingredient in gholveh which pairs lamb kidneys and tomato sauce to create an easy and inexpensive dish. Although lamb kidneys are not as popular in North America as in countries like Scotland, they are common in other European restaurants. In France, lamb kidneys are usually found sauteed or grilled. In England, they can be placed as a spread on toast or even soaked in red wine to give them a sweeter taste. More commonly in the United Kingdom, lamb kidneys are used inside a stew—or as famous chef Gordon Ramsay prefers, inside a pie. Not eating brains has always seemed to be, well, a no-brainer. Most of the time, the hesitation comes from the fear, whether valid or not, of contracting some sort of disease. However, in many cultures, consuming the brains of an animal is seen as a delicacy and is believed to improve bodily functions. The goat has become especially popular in the United States, where they are increasingly used in recipes. One of these trends is eating goat brains. 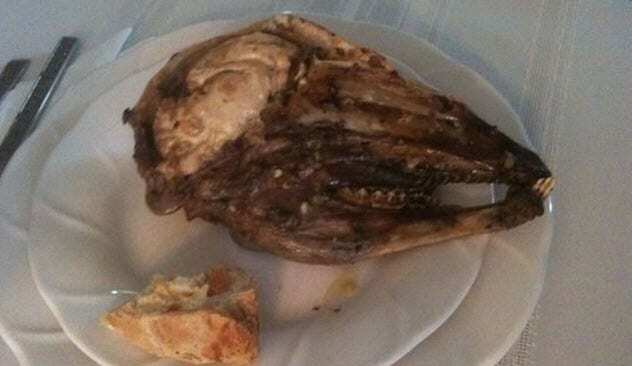 In the Middle East, consuming goat brains is common. In fact, in Mumbai, breja fry is a typical dish where the goat brains are cooked with a curry base as well as chili and ginger. The dish, which is called maghaz masala on some menus in North America, is easily found in India and Pakistan where vendors often serve it as street food. The taste of goat brains is described as having a similar texture to scrambled eggs when cooked. There are claims that the consumption of goat brains is good for nervous system functioning and provides necessary nutrients. However, this is not scientifically proven. Still, if one is looking to try something new, the Mexican dish tacos de sesos can be made with goat brains instead of beef. Also, some French restaurants have altered the popular dish tete de veau by using the boiled head of a goat instead of a calf. Foie gras is a popular dish which started in France and can be found in restaurants around the world. The dish involves overfeeding a duck to ensure a fatty liver, which gives it a rich and almost buttery texture when eaten. The French also use duck liver inside a bordelaise sauce, called “rouennaise sauce,” which tops the remaining cooked portions of the duck. 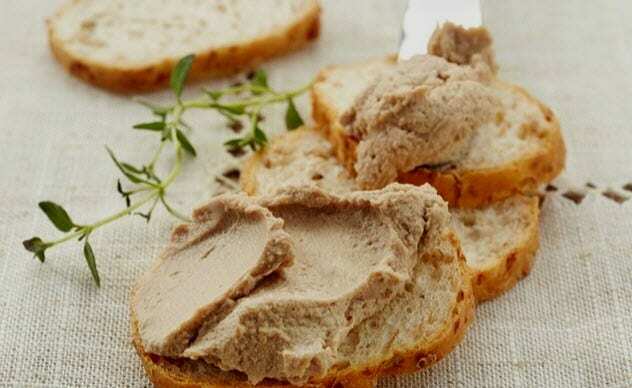 Although chicken liver has been a common dish in many countries, duck liver has started to increase in popularity. Due to its health benefits, including high amounts of protein, vitamin A, all the B vitamins, iron, copper, and zinc, it has also been considered a good remedy for fatigue. In Argentina, liver can be eaten lightly cooked or even raw. In some paleo diets, raw liver is included in drink form alongside tomato juice, egg yolks, coconut juice, lemon, and lime. Even odder, the drink is topped off with a dash of hot sauce. In Australia, a restaurant opened up with hopes of increasing the consumption of duck. There, duck liver is used in different forms in many dishes—from appetizers to main courses. Depending on where in the world you are, duck liver can be served boiled, sauteed in a wine or sherry sauce, as a pate, or even in a casserole. The popular Scottish dish haggis is well-known for including parts of the sheep that one wouldn’t normally think of eating, all boiled and encased inside the animal’s stomach. 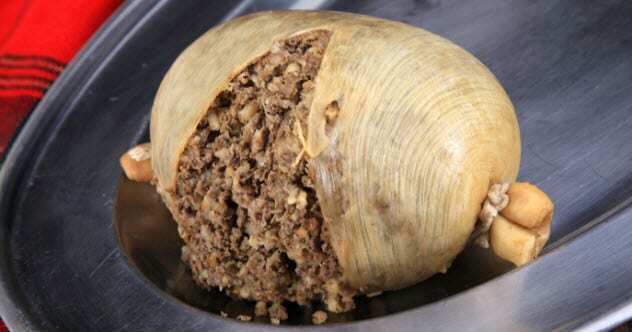 While the Scottish version of haggis isn’t allowed in the United States due to regulations on sheep’s lungs, other versions exist. All of them involve the meats being served inside a sheep’s stomach. The consumption of haggis has grown and is not just seen as a Scottish staple anymore. Sheep’s organs, their stomachs especially, have been turned into burgers, burritos, and even poutine. The use of a sheep’s stomach isn’t just limited to haggis, however. It is also in a dish called “tripe” which is the cooking of an animal’s stomach. Normally, a cow’s stomach is used. But in some places such as Italy, a sheep’s stomach is preferred. Other countries find different uses for a sheep’s stomach, such as including it in oatmeal. It is even seen as a hangover cure in Romania. The dish is called ciorba de burta and uses the stomach to make a slightly sour soup meant to aid in the cure of the worst hangovers. Eating pig isn’t unexpected. Pork chops, bacon, hot dogs, and sausage are all popular dishes in the United States. In fact, in some countries, different parts of the pig can be seen as a delicacy. This includes their intestines. In South Korea, they offer a street dish called soondae which is boiled pig intestines filled with noodles, blood, and spices. This dish is created in a similar way to American sausages. 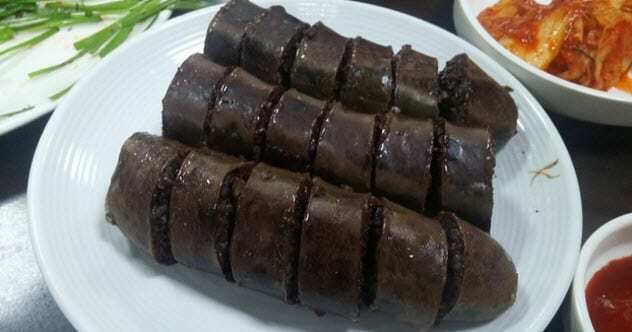 In China, another dish called “blood sausage” can be found. The meat is boiled and filled with blood and stock. It is then served with pickled cabbage. Normally, blood sausage is eaten during the colder winter months. Pig intestines can also be found in Chinese restaurants as a spicy meal topped with chili sauce. The late chef Anthony Bourdain had tried the dish during his show Anthony Bourdain: Parts Unknown. The Philippines is known for its various ways of using pig intestines—whether served as street food or found in restaurants. It is most commonly sold in Singapore by street vendors, who simply grill the intestines and then place them on skewers. Another popular dish is called ginabot. This involves deep-frying the intestines to make a crunchy snack-like dish that is revered for its taste. In other restaurants, pig intestines are cooked inside a wok to create a more savory dish. The name “Rocky Mountain oysters” may lead one to believe that this food is made with oysters. However, the Colorado dish is actually made from bull testicles which are breaded and deep-fried. In fact, eating these testicles is so popular that Montana hosts a festival each year where almost 23,000 kilograms (50,000 lbs) of testicles are consumed. In Canada, the dish is called “prairie oysters” and is dipped in a demi-glace rather than breaded. Eating bull testicles is quite common in other parts of the world. In Spain, criadillas are served like Rocky Mountain oysters, only these “bull fries” are also dipped in a red wine sauce. The consumption of bull testicles is an important way for bullfighters to show their masculinity. Local lore also claims that bull testicles are an aphrodisiac. In Guatemala and Nicaragua, the star of their ceviche isn’t seafood. Instead, it is bull testicles made with lime juice and mixed with tomatoes, onions, and cilantro. The dish is salty yet savory, and the bull testicles are said to taste like venison. Eating huevos de toro is a Latin American staple, while bull testicle soup can be found in Vietnam and is renowned in Serbia as an aphrodisiac. There, a World Testicle Cooking Championship is held each year to see which country can devise the best twist on cooking testicles. If one has the urge to eat testicles, a cookbook entitled Cooking with Balls is available with recipes ranging from testicle pizza to pie. For some people, seeking the nutrition that many offal parts provide doesn’t stop at just animals. Eating one’s placenta after birth has become a recent trend, though it’s not really new. Years ago, eating one’s placenta was not unheard-of. During this time, it was believed to provide the mothers with more nutrition, aid them in breastfeeding, and increase their energy levels. In various cultures, the eating of one’s placenta is a rite of passage and revered as an important act. Dried placenta (ziheche) can be found in China as a remedy that the Chinese believed would help with conditions such as infertility and impotence. Recently, the trend of eating one’s placenta has grabbed the spotlight. Mothers who eat their placentas claim that it helps with postpartum depression, though there is no scientific evidence to back this up. Mothers are known to add placentas to their smoothies, dehydrate them for powder that can be placed in baked goods, and even take them in pill form. 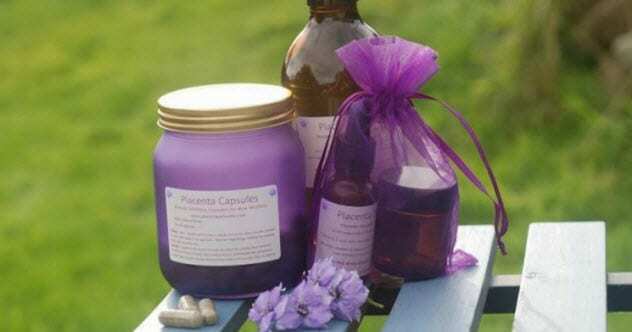 Some have even created placenta balms and tonics that are said to help cure certain ailments. In fact, a British programming station came under fire after their presenter, Hugh Fearnley-Whittingstall, turned a human placenta into a pate during the cooking segment of the show. Despite many claims that the placenta can be good for you, adding it to your soup or making it into a smoothie might not be good options. The CDC released a statement claiming that levels of harmful bacteria and other pathogens inside the placenta can be dangerous to the mother and the baby. Read about more bizarrely edible foods on 10 Bizarrely Edible Eggs and 10 Foods Edible After An Incredible Length Of Time.